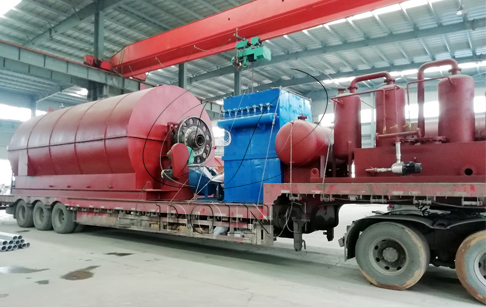 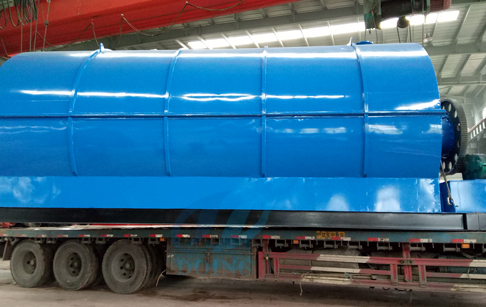 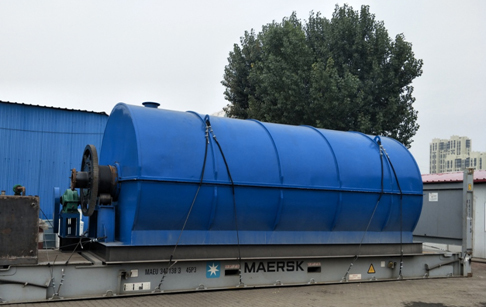 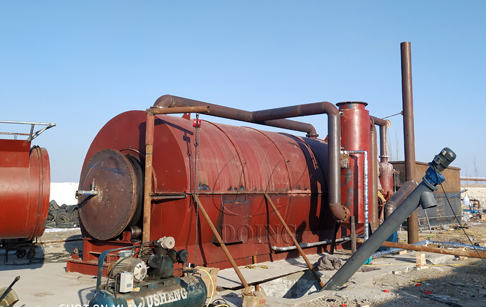 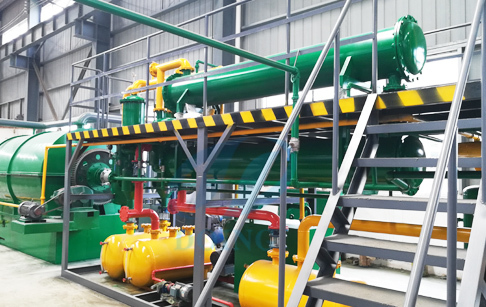 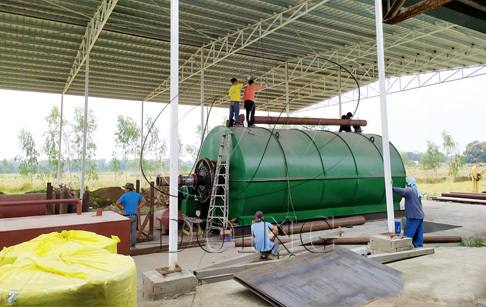 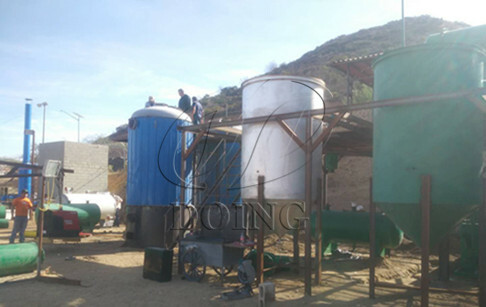 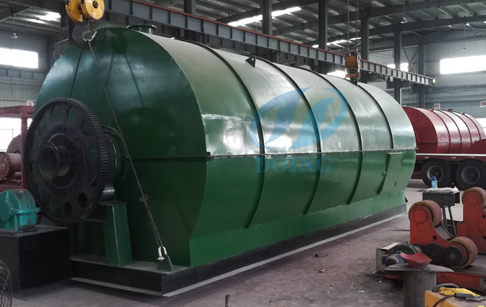 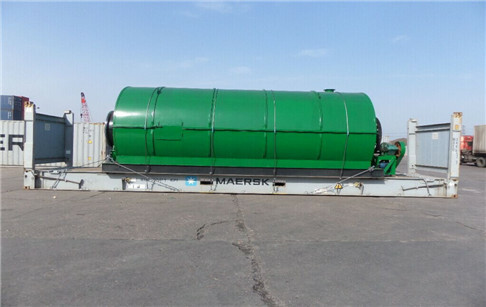 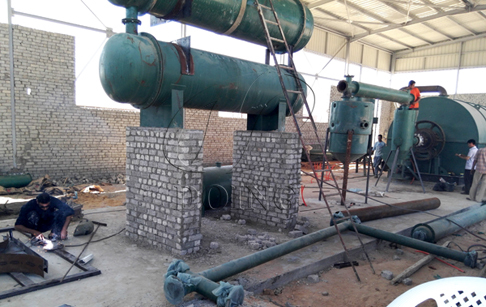 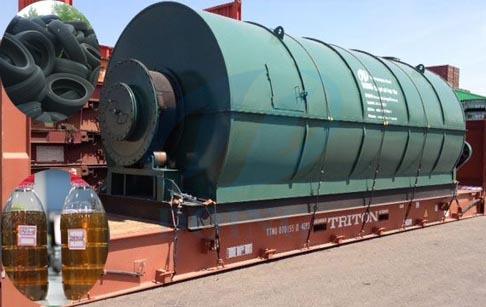 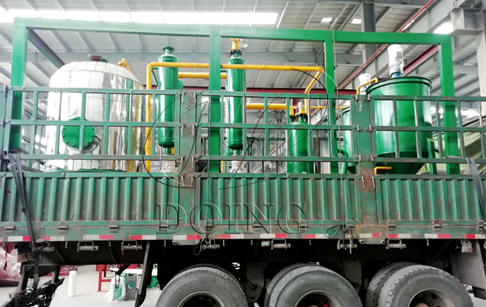 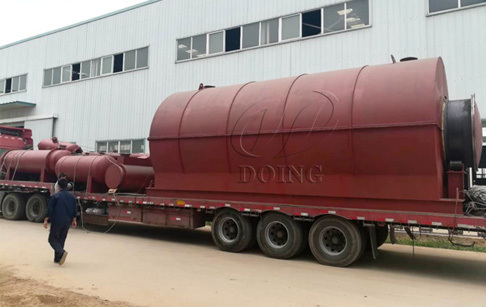 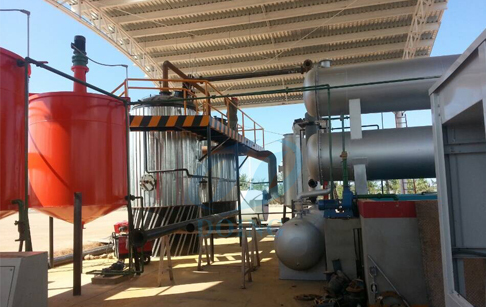 Waste tire oil pyrolysis plant is a technique that waste tires or rubbers or plastics are heated in a sealed reactor vessel and to be pyrolyzed into oil gas, uncondensable gas and carbon black, for tires, also have steel wire. 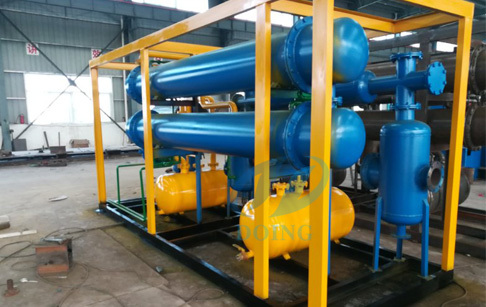 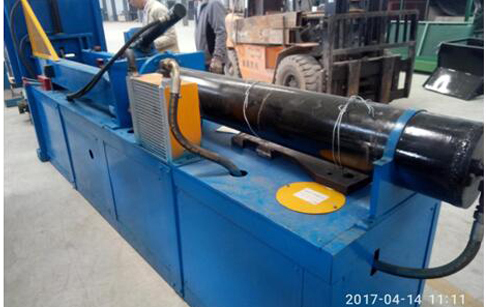 The oil gas then go through a water circulating cooling system to be cooled down to oil, which is a good heating fuel used in industries. 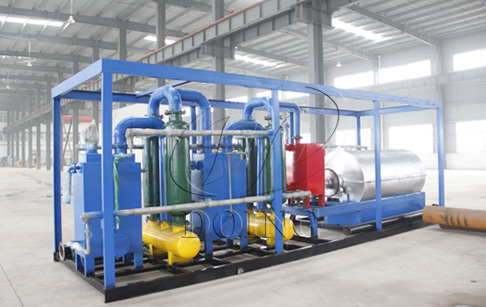 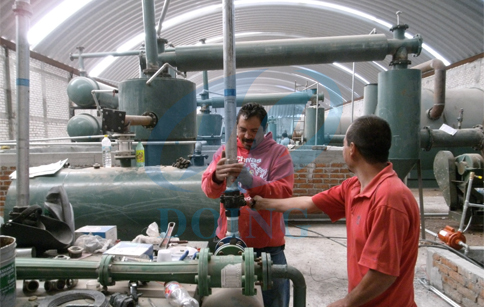 The uncondensable gas is directly recycled to heat the pyrolysis reactor or collected for other heating use. 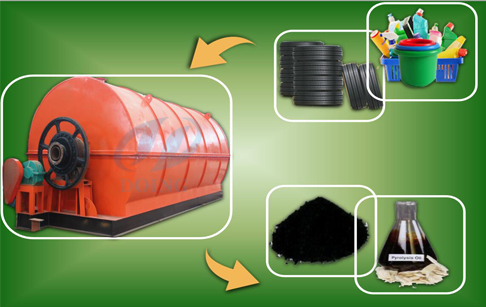 Carbon black could be made into pellets for burning and heating, just like coal, or refining for making new rubber products. 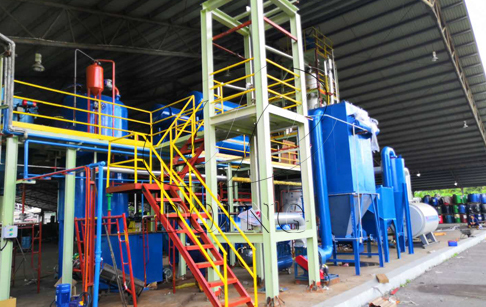 Steel wire could be sold to the recycle station or steel mill for remelting. 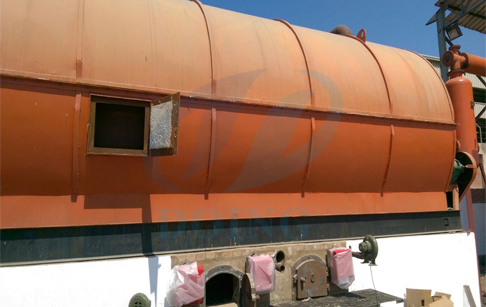 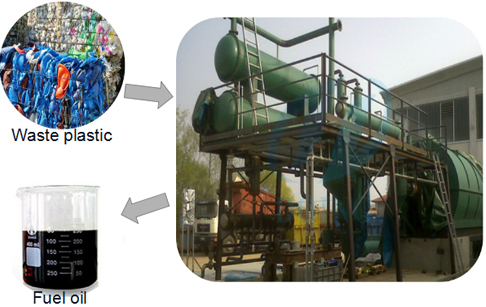 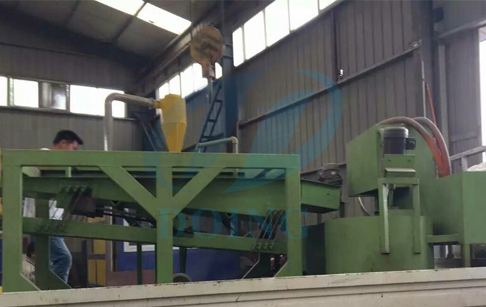 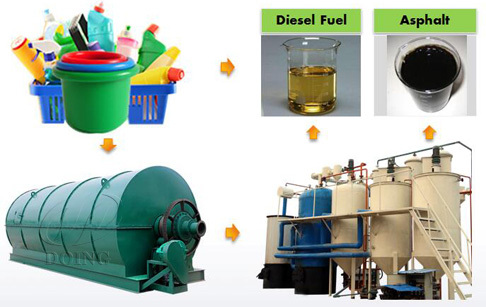 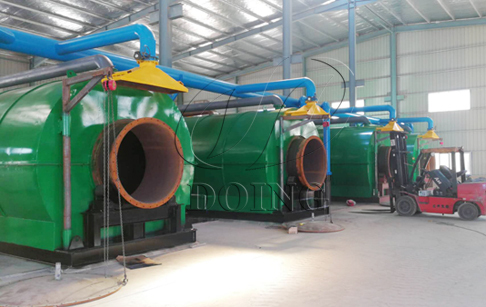 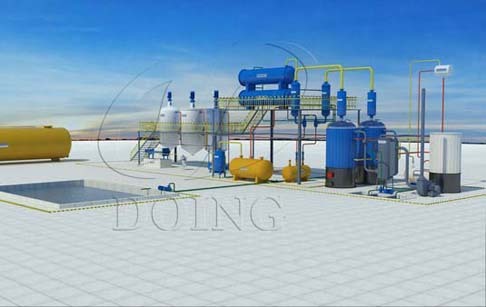 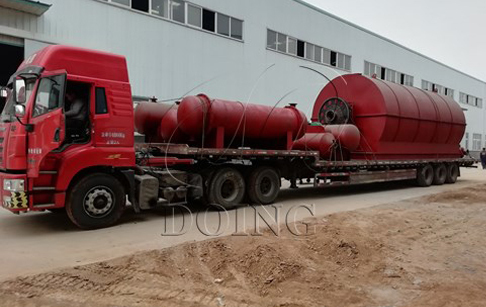 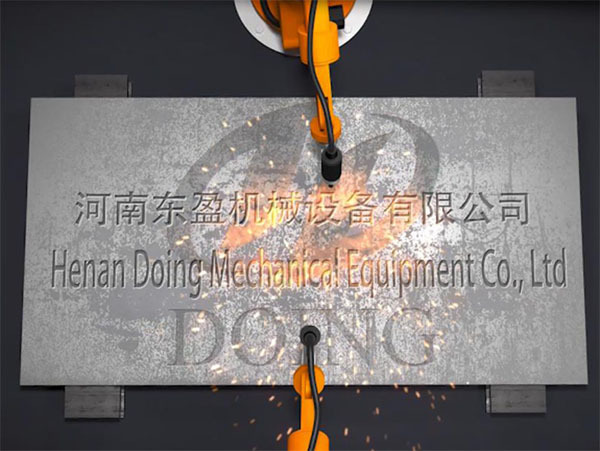 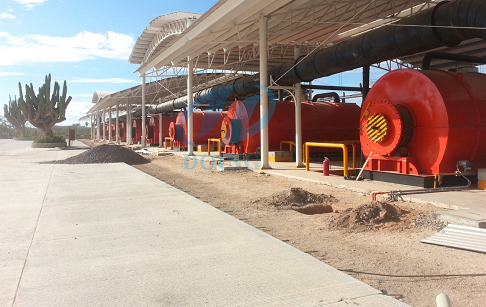 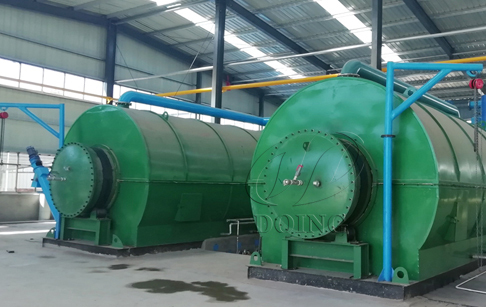 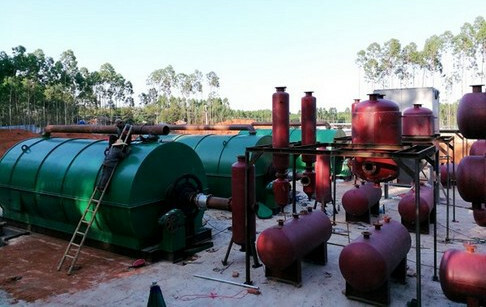 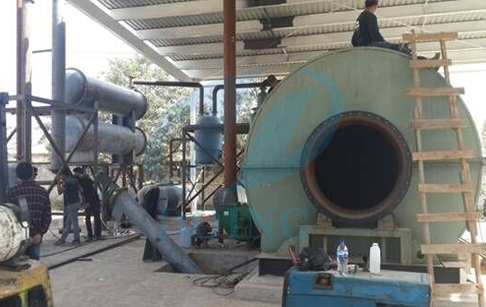 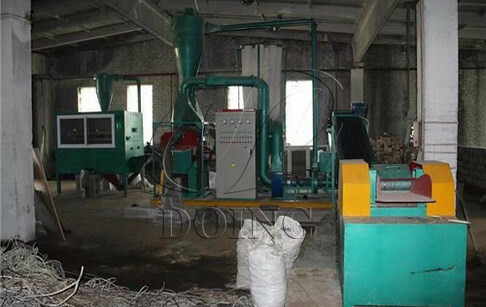 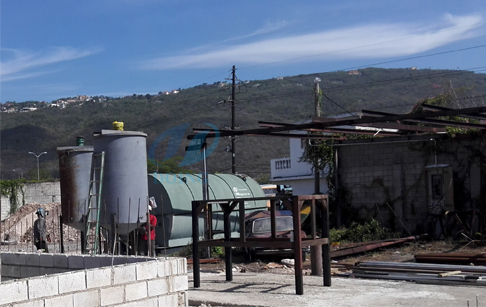 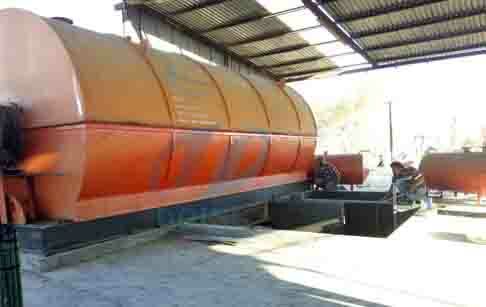 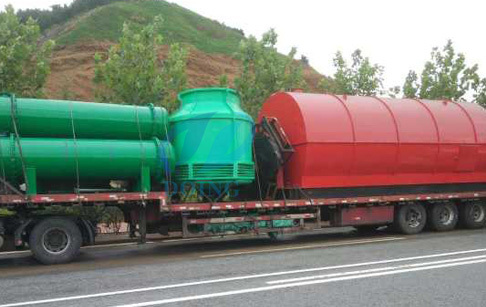 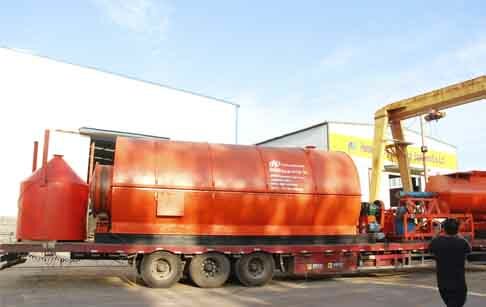 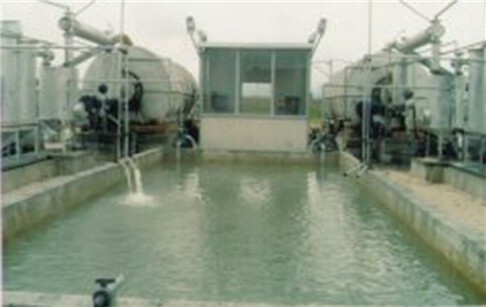 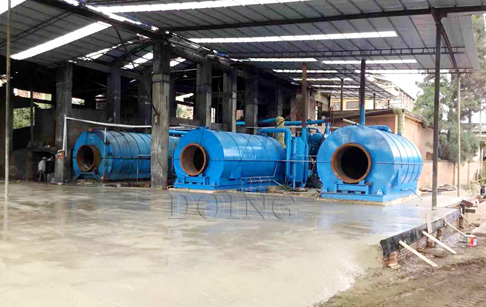 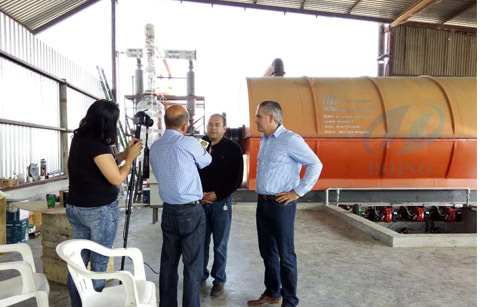 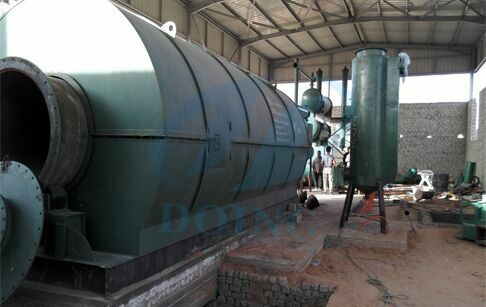 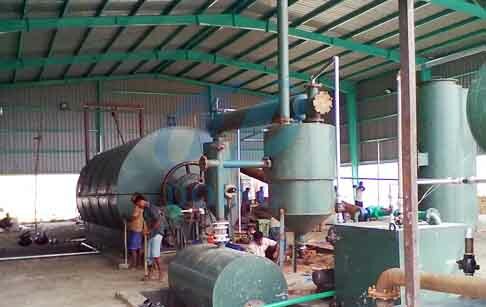 The whole process of the waste tire oil pyrolysis plant is pollution-free without generating secondary waste. 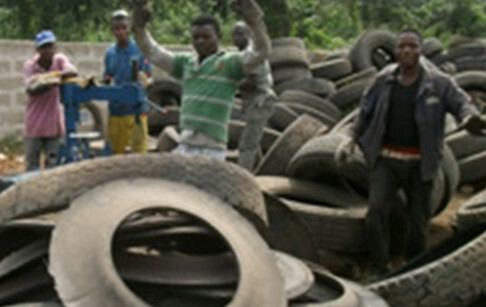 Low investment, high benefit!